Remember when we had the 5 a day message? It was all about eating 5 fruits and vegetables per day. The message was eventually replaced with a 5 to 9 per day message. Then we evolved to make half your plate fruits and veggies. No matter how you spin it, eating enough fruits and veggies is the way to go if you want to protect your health. This message is also very strong in the current 2015-2020 Dietary Guidelines for Americans. And now that May is here all of the wonderful seasonal summer fruits and vegetables are starting to appear in the store. To help folks realize that fruits and vegetables should be eaten around the clock we have a classic poster, 5 Ways to More Fruits and Veggies poster that we are featuring for just $9.99 each this month. The message on this “fruit and vegetable clock” illustrates that you should be eating fruits and vegetables for every meal. Bananas for breakfast, salads for lunch and dinner, and fruits for desserts and snacks are just a few of the great ideas shown. All of the items selected are easy to find and serve. There is always a good time of day to serve fruits and veggies! The $9.99 poster special has been very well received by our clients. It allows lower budget programs to spruce up their walls with positive health messages because shipping to the 48 states is free. 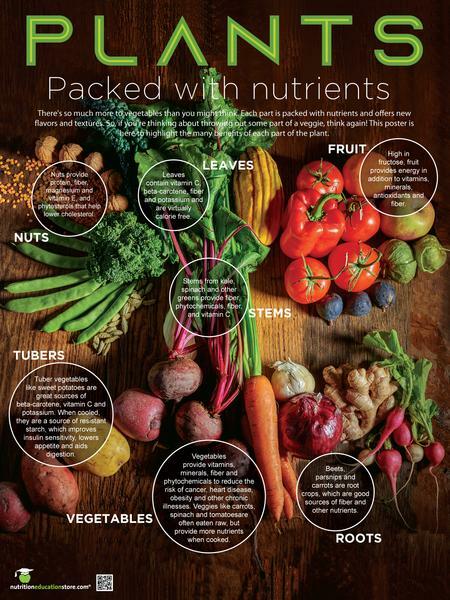 Check out the 5 Ways to More Fruits and Vegetables poster now!